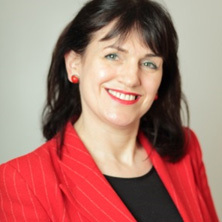 HISA is pleased to announce UK health reform leader Dr Helen Bevan will be a keynote speaker at HIC 2015. Dr Bevan, who will speak on System Reform, is Chief of Service Transformation at the National Health Service where she has led large scale change for more than 20 years. Australian healthcare executives, change proponents and clinicians are invited to attend HIC in Brisbane 3-5 August to hear from this world leader in health management. Dr Bevan is acknowledged globally for her expertise and ability to translate it into practical action and deliver outcomes. She provides advice, guidance and training on transformational change to leaders of health and care systems across the world. In 2008, the 60th anniversary of the National Health Service, Helen was recognised as one of the 60 most influential people in the history of the NHS. In 2001 she was made an Order of the Officer of the British Empire. Registrations for HIC 2015 are open now. She introduced the first nationwide collaborative programmes to improve the delivery of cancer care across England in 2000. She designed the highly influential “Ten High Impact Changes for Service Improvement and Delivery” in 2004 and conceived the impactful “Productive Series”, starting with “The Productive Ward” in 2007. In 2010, Helen’s team launched a call to action, utilising social movement leadership principles, which contributed to a 51% reduction in prescribing of antipsychotic drugs to people with dementia across the country. Helen initiated NHS Change Day, in partnership with a group of young clinical and managerial leaders in 2012. NHS Change Day 2014 was the largest ever voluntary collective action for improvement in the history of the NHS with more than 700,000 pledges made to take action to improve experience and outcomes for patients. NHS Change Day also won the global “Leaders Everywhere” challenge run by Harvard Business Review and McKinsey. NHS Change Day and another initiative Helen conceived, The School for Health and Care Radicals, are currently included in “Britain’s 50 new radicals” list sponsored by The Observer.